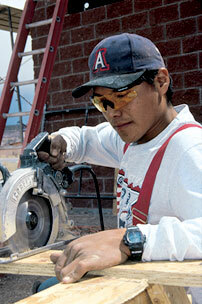 The Navajo people are an enthusiastic and very capable labor pool. Jobs are highly prized. According to the 2000 Census, more than 62 percent of the Navajo people are under the age of 30, providing a young labor force. Employers will also find a large number of college graduates of all disciplines in the work force. The Navajo Division of Human Resources operates various programs under the Job Training Partnership Act now known as Workforce Development. Examples of ongoing activities are Community Service Employment, Classroom Training, and Youth Employment.